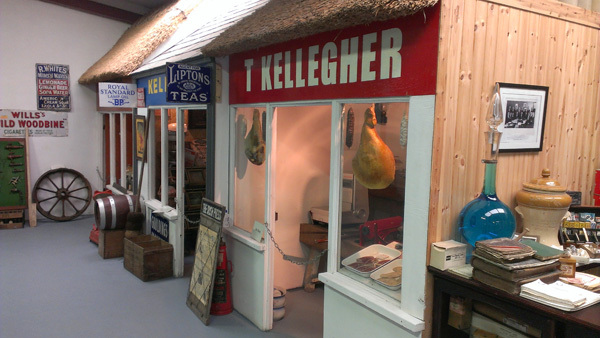 The museum has a fully reconstructed street scene, which consists of a traditional thatched pub, a grocer shop, butcher shop, chemist, Post Office, cobblers shop, blacksmiths workshop and carpenters workshop, all of which are fully kitted out with the products and tools of the 1930s. All artifacts are displayed in their own uniquely designed environment, just as they would have been many years ago. The reconstructed street scene allows visitors to stroll down memory lane and see life how their fathers and fore fathers lived. It also allows younger children to view how life was and the developments and changes time has brought.